Worawa students love the Living Archive! Sally Cunningham from Worawa College visited us in Darwin recently, and shared with us about how the school is using materials from the Living Archive. Worawa Aboriginal College is a girls’ boarding college catering for Indigenous girls in years 7-10.Worawa is located in Healesville, Victoria, about an hour’s drive east of Melbourne. The 70 students currently attending Worawa College come from across Australia, many from remote communities in the Northern Territory. Most students speak an Aboriginal language as their first language, and some students speak up to four languages, as well as English. At Worawa College, we acknowledge the richness and diversity of our students’ languages, and we also recognise the cultural pride and strength that comes from valuing these languages in the academic program. All of our students engage with some language work within the school week, and some students are part of targeted language literacy work. 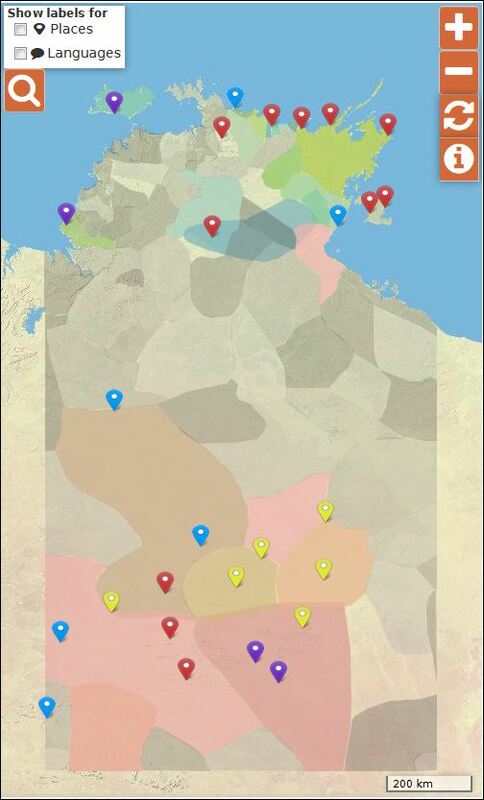 The Living Archive of Aboriginal Languages is often used in this teaching and learning. For the students who have been immersed in their language, these archives can enhance and support their reading and writing. For students who are beginning to learn their heritage language, the archives are used to explore different topics and learn new words. As language and culture is embedded across our curriculum, the archive has been used in a variety of subject areas. Language books have been used to look at bush foods in Science, and for exploring different stories for incorporation in artworks. Students actively engage with their first or heritage languages, and also enjoy exploring the languages of their friends at Worawa. The Living Archive books can provide a link to their home communities through language and some students recognise authors, artwork and images from family members This can be very powerful for them. This entry was posted in User stories and tagged engagement, school, students, testimonial on June 24, 2015 by Cathy Bow.